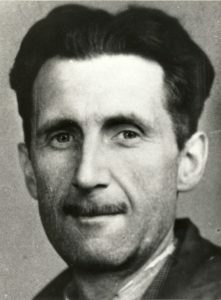 Using jargon instead of plain language, favouring big words when two short ones would be more appropriate, misuse of punctuation: since George Orwell wrote his essay “Plain English”, anyone who has had to sub-edit or proofread text has been aware of the cardinal sins of over-complicated English prose. A recent piece in the Financial Times by Gillian Tett (War of words at the World Bank) told the story of a lone struggle, led by Paul Romer, the former head of the Development Economics section of the World Bank, against the often incomprehensible language of the Bank’s reports. According to the article Mr Romer principally objected to overlong sentences punctuated with “and”, a word that used to only account for an average of 2.6% of World Bank texts 20 years ago, but now makes up 7% of all texts. Mr Romer wanted to compel staffers to simplify their texts by keeping to the golden rule of “ands” not exceeding their 20th century frequency, with any texts which failed to comply being rejected. The problem that the World Bank is facing is three-fold. Firstly, the economics staff are completely international and hence few write in their native language. Secondly, with literature and arts subjects being given a lower status in education as a whole, economists who concentrate on maths and statistics rather than on essay writing, may be less skillful at producing understandable prose than their peers from 20 years ago. Thirdly, texts are revised and supplemented by a range of reviewers, superiors and lawyers, who often make the end product unreadable by adding caveats and explanations. Romer’s own superiors disliked his campaign so much so that he was eventually squeezed out of his position. Roughly 20% of our workload at Lacrosse is proofreading texts written by non-native speakers, while every translated text is proofread as a matter of course by a native speaker of the target language. Our proofreaders have to be careful when editing texts which are financial or legal in order not to alter the meaning of the original. We have known cases of legal proofreaders at law firms being admonished by lawyers if they made too many changes to texts during efforts to improve their readability. What this means is that a style of such texts emerges, especially in contracts or reports, which is grammatically correct but is not easily comprehensible. It takes a reviewer of considerable experience to thoroughly rework a legal text. It is easier to compare originals with translations if they are written in sentences of the same length, with the same number of clauses and so there are limits to what our team can do to such texts. There is a difference, however, when a text is written for publication like Mr Romer’s reports, as greater attention has to be given to readability. For such texts the reviewer will sometimes completely restructure sentences to convey the writer’s thoughts and to ensure that a translation has the same impact on the reader. George Orwell’s character Winston Smith from his1948 novel 1984 would probably find a job these days as a proofreader, but the author’s sympathy would be for Mr Romer, the newcomer, who tried to campaign for plainer English at the World Bank. Lacrosse approach, Language interest. permalink.